And that’s why I designed this Twilight Zone Lousy Plot Generator, because it’s basically that easy to construct a bad episode of this show. Just pick a numeral between 1 and 9 and then do that four more times. Read the plot points associated with those numbers in order. Voila — you’ve just invented a bad Twilight Zone episode. However, all of that is rendered moot when the radios start broadcasting the news: a nuke strike is imminent! And finally, the shocking twist! And then you find out that they were all mannequins the whole time. Because then he/she learns that the waitress who appeared in the opening scene is actually the Devil, and they accidentally made a deal with him. But in the end, it turns out they’re all characters in a play that the writer eventually tires of and abandons. They’re lost forever in a crinkled-up sheet of typewriter paper. And then it turns out they were on Mars the whole time! But then it turns out that what the protagonist believed to be an impediment is actually considered by this episode’s universe to be a virtue, proving that social advantages and disadvantages are merely a result of one’s perspective. Wait no. They were dead the whole time. But in the end, the protagonist realizes that he/she is actually an alien who came to study earth and then contracted amnesia. Memories restored, he/she returns to the mothership, to the awe of everyone else in the neighborhood. It was all a dream… dreamt by Hitler himself! And they get on the flying saucer, believing that a brighter future awaits them but oblivious to the awful truth. Live in the present, stupid. Be careful what you wish for, for all wishes are rooted in greed, stupid. Don’t drink and drive, stupid. People who ask for help are actually angels in disguise, stupid. Nonexistent. There’s no moral on this one — just feel weird about stuff. The most terrifying monsters are ourselves. Stupid. 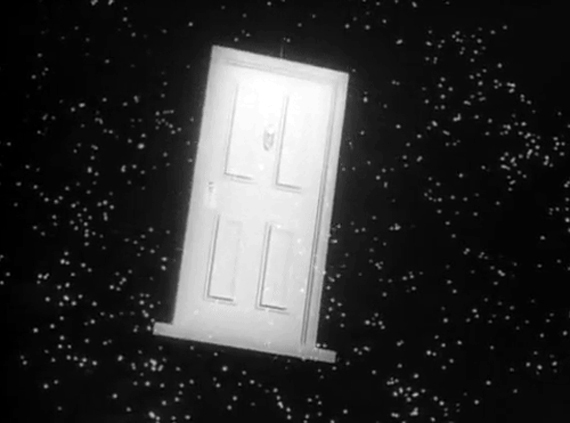 And yes, by the way, I did watch the New Year’s Day Twilight Zone marathon. It’s one of my favorite holiday traditions.